While further study is needed, these antibodies could lead to development of injectable antibody "cocktails" for people at high risk of being infected by Ebola viruses. The hope is that the antibodies—like heat-seeking missiles—would seek out and destroy the viruses before they can wreak havoc in the body. 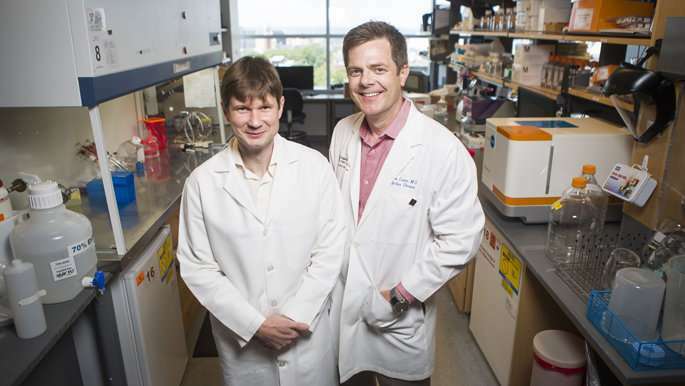 Crowe is the Ann Scott Carell Professor in the Departments of Pediatrics and Pathology, Microbiology and Immunology in the Vanderbilt University School of Medicine. The paper's first author, Pavlo Gilchuk, Ph.D., is a senior staff scientist in Crowe's lab.